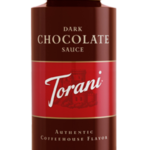 Torani Dark Chocolate Sauce works well in mochas, blended coffees, and hot chocolates. 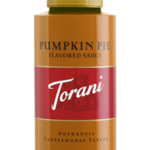 Torani Pumpkin Pie Sauce is the perfect autumn flavor to spice up your lattes, brewed coffees, milk and much more! 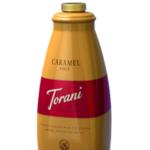 Lattes, flavored coffee, iced coffee, on top of ice cream or other desserts. 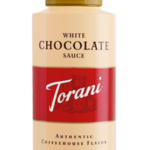 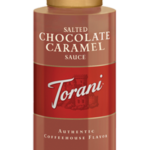 Torani White Chocolate Sauce works well in mochas, blended coffees, and hot chocolates.